Laser skin resurfacing, also known as skin rejuvenation, is a relatively painless procedure that uses a variety of lasers and Intense Pulse Light (IPL) devices to reduce fine lines and surface irregularities, such as scarring, uneven pigmentation and sun damage. The treatment can dramatically improve the texture of your skin, while giving it the youthful glow you’ve always wanted. If you’re unhappy with facial wrinkles, age spots, sun damage, slight scarring and other imperfections, you may be a good candidate for laser skin resurfacing. The treatment is not for everyone, however. Those with olive, suntanned or black skin may take up to nine months to regain their normal pigmentation after treatment. Also, if you’re prone to scarring, have a skin disorder or you’re taking certain medications, you may not be a suitable candidate for this treatment. Talk to your doctor about your medical history before opting to go through with laser skin resurfacing. Depending on the level of treatment and the laser used, you may be given a topical anesthetic, a local anesthetic, a general anesthetic or intravenous sedation. Our trained technician begins the procedure by cleansing the skin thoroughly. Passing the laser over the treatment area, emitting high-intensity pulses of light removes the outer layers of the skin. If you hear a zapping sound or smell burning during the treatment, don’t be alarmed. This is normal. Once the skin rejuvenation procedure is over, the technician will apply protective ointment and a bandage. Estetica Institute’s accredited surgical center, in Palm Beach Gardens, Florida offers the perfect venue for laser resurfacing. Our procedures are performed in our state of the art surgical ORs by a highly trained staff of professionals who all maintain the highest credentials. Our facility is accredited by the American Association for Accreditation of Ambulatory Surgery Facilities (AAAASF). The procedure may last anywhere from a few minutes to an hour and a half, and you may require additional treatments to achieve optimal results. You cannot drive yourself home after the surgery if you have had any anesthetic. We suggest that you arrange for a ride home with a friend or relative. What Kind Of Post-Operative Laser Skin Resurfacing Care Can I Expect? What is the recovery process? Following the procedure, it’s normal to experience some swelling and mild discomfort, which can be minimized with ice packs or medication prescribed by your doctor. You may also develop a red, crusted appearance on the treatment area for up to 10 days. Make sure not to pick at this area, as you risk developing scars. We will advise you to stay out of the sun until your skin returns to its normal color (it may have a bright pink hue for several weeks). Avoid wearing makeup for at least two weeks after treatment. We will apply a protective ointment and/or dressings, tape or bandage, immediately following the procedure. After one to three days, bandages should be replaced. Follow your instructions on how to cleanse and care for your skin. Although laser skin resurfacing cannot stop the aging process, it can certainly take years off your face by improving skin’s texture and appearance. Our patients report dramatic results and an increase in self-confidence with their rejuvenated, refreshed glow. But don’t take our word for it. 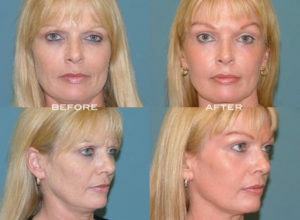 Browse through some laser skin resurfacing before and after photos to determine if this procedure is right for you. What Laser Skin resurfacing Costs? Every patient has different needs and goals in mind, so laser skin resurfacing costs will fluctuate depending on the person. During your initial consultation, one of our highly skilled surgeons will take you through the process step by step, answering any questions you may have along the way. It’s our goal to help each patient achieve the look they’ve always wanted. Call us today and find out how we can help you achieve yours. 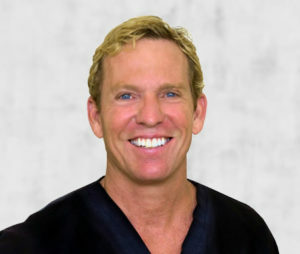 Estetica Institute of the Palm Beaches offers Laser Skin Resurfacing to patients in Palm Beach Gardens, West Palm Beach, Jupiter, Tequesta and the surrounding areas. Call us at 1.561.776.9555 for more information.